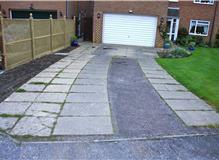 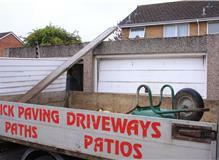 Gallery of Priory Paving - Driveways/Patios/Paths based in Christchurch, Dorset. 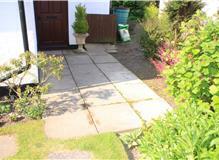 Wiltshire Gardens, Brandsgore. 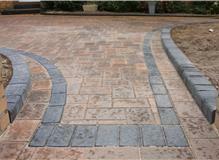 Marshall Savanna Block with a charcoal double border. 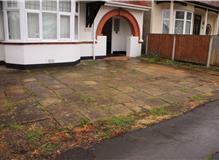 10 Leeson Rd, Bmth. 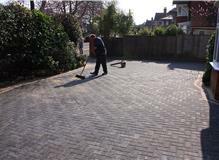 A beautiful drive Laid using Marshall Drivesett Natrale Block Paving in a Slate Colour. 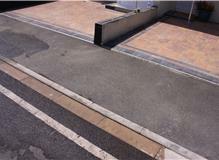 The Kerbs are Marshall low kerbs ands the Boarder is a Argent Project pack. 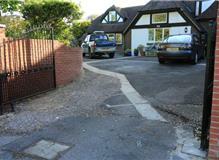 Pine Ave, Southbourne. 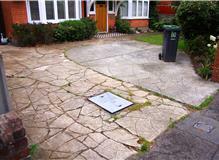 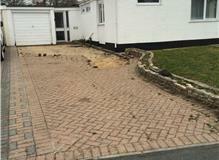 Marshalls Standard Block with new aco drainage system to front of drive. 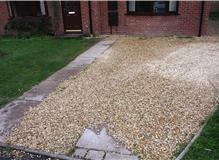 New Marshalls Driveway, Bodowen Close, Burton. 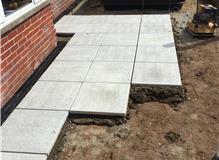 Beta Block pathways at Eventide Homes, Bournemouth. 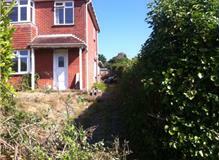 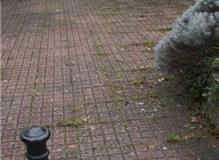 The very overgrow front garden, transformed into a pleasant to look at off road parking area. 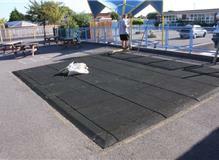 Beaufort Infant School. 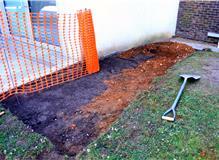 Play area. 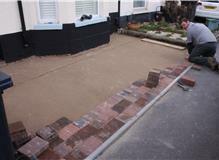 Two new driveways, laid using a Marshall standard block. 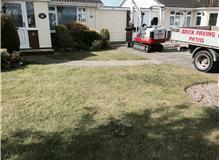 Location Portfield Close, Christchurch. 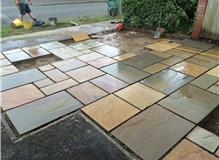 New Front Garden, using a Buff Sandstone. 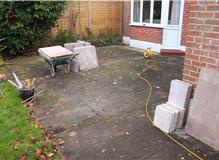 Communal patio area to flats in wareham. 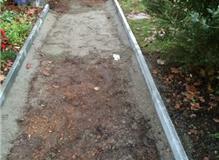 New front porch,Sway. 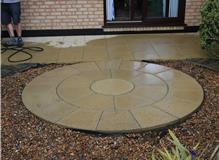 Marshall Slate Slab. 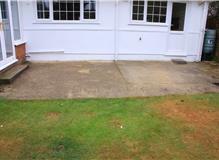 Priory Motor Works Garage and Portfield Car Sales new shingle forecourt. 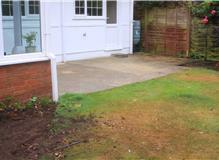 Double concrete garage down and new close board fence up. 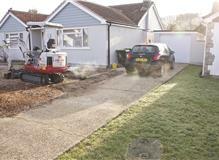 Ferndown. 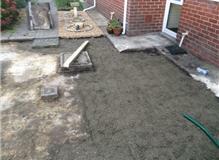 New Lewis Concrete Slabbed Patio in Verwood. 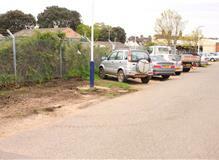 Off road parking in Purewell. 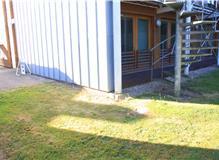 Bmth Uni, New path & Fire Exit. 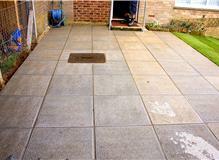 New Patio Drying Area, Rockhampton Drive, Weymouth. 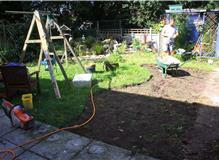 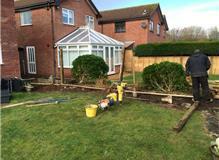 A Complete garden makeover - Burton, Christchurch, Dorset.